This fashionista mom got her blogging start as the stylish show-stopper in the carpool line. Her OOTD’s were always turning heads and had all the other moms wanting to know where she purchased her stylish pieces! When one of her good friends was moving away and would no longer be able to see her outfits in person, this Power Pump Girl got resourceful and started posting her threads online. The rest is history, as January Hart Rizzo soon grew to be the blogger sensation we know & love! January, or “Jan”, as her family calls her, got her start in clothing and fashion with a degree from LSU in Apparel Design. In the career world after college, January began working behind the scenes, designing childrenswear. Because she was always a fan of staying on-trend and chic, not much changed for January’s dress-up routine after having kids. 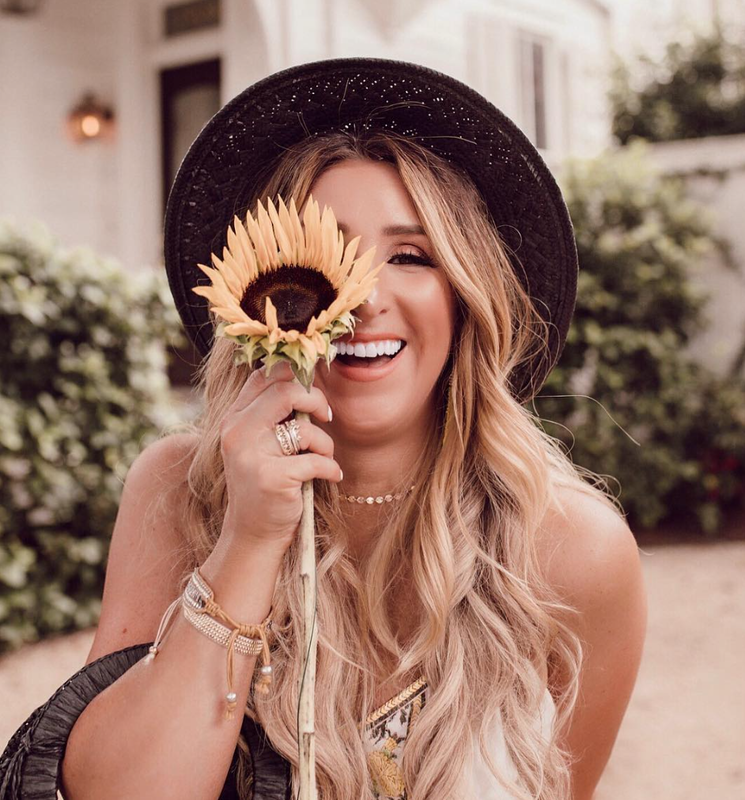 In fact, she says the world of blogging was an “unexpected journey.” Today, January maintains her life + style blog and services over 42K Instagram followers with her daily doses of gorgeousness! In all her experience, January has learned to face challenges as an opportunity to grow and extend her faith. She firmly believes that there’s nothing like facing difficult situations head-on. She applies the same mantra that pushes her through her tough her gym classes to any other life oppositions, “if it doesn’t challenge you, it doesn’t change you!” … sounds like we’ll have to start using that line in our Body Pump & Yoglates sessions!